You depend on your Nissan to get you where you need to go day in and day out. 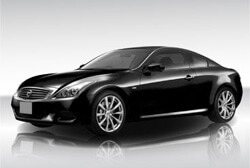 Nissan’s are widely known as durable vehicles, with a long lifespan. At Hollin Hall Automotive, we will keep your Nissan running smoothly year in and year out by performing all the basic maintenance services or auto repairs that your car needs. Our ASE Certified technicians enjoy repairing Nissan’s, and have a great deal of experience with these vehicles. From oil changes and brake repairs, to scheduled maintenance services, we have the diagnostic tools and technology to handle auto services on all Nissan years and models. You can rely on to keep your Nissan dependable.